If you are interested in private yoga in Ojai or would like more information about retreats, Contact Rosemary or reach her locally by phone at (805) 633-1077 . 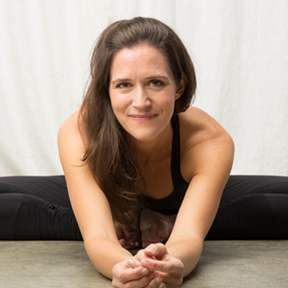 One of the Ojai Valley’s favorite Vinyasa yoga teachers, Rosemary now offers both beginner and advanced yoga students the opportunity to take private yoga in Ojai and surrounding areas including the Ojai Valley region, Santa Barbara, Carpinteria, Montecito, and Ventura. Visitors to Ojai and local residents looking for individual yoga sessions can now benefit from one-on-one yoga with a seasoned instructor on a flexible schedule and in the privacy, and comfort, of your own home. Private classes can also be arranged at local studios, as well as at Rosemary’s private home studio nestled in the mountains of Ojai’s beautiful East End. Private yoga sessions with Rosemary are designed to meet students’ specific needs – including beginning or deepening your own yoga practice, post-surgery or injury rehabilitation, stress reduction, and for developing and improving overall wellness, strength, and flexibility. Sessions can be tailored to focus on specific areas of the yoga practice, such as balancing poses, pranayama, and meditation, and the practice can also be viewed as a complimentary modality alongside one’s personal trainer regimen and/or established exercise program. Classes can be scheduled as needed or on a regular weekly basis, and last from 1 hour to 1.5 hours depending on your needs. Couples yoga, yoga for families, and wedding yoga classes in the Ojai and Santa Barbara areas can be accommodated as well.